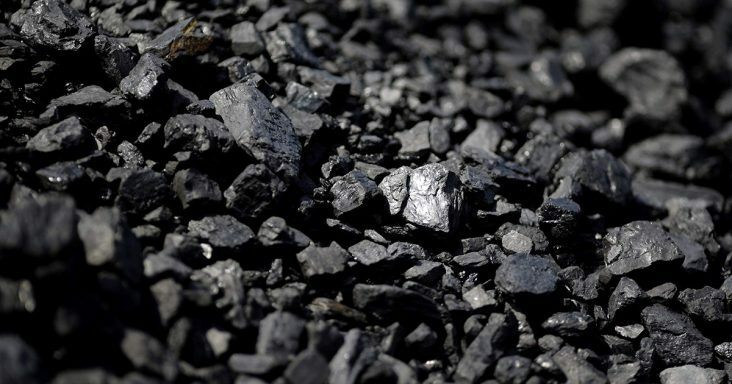 Despite ongoing efforts by the Trump administration to prop up one of the ailing segments of the fossil fuel industry, U.S. coal consumption in the power sector is expected to fall by year’s end to its lowest level since former President Jimmy Carter was in office. According to a report released Tuesday (Dec. 4) by the U.S. Energy Information Administration, the influential research group housed in the U.S. Department of Energy (DOE), total U.S. coal consumption in 2018 will fall to 691 million short tons (MMst), a 4% decline from 2017 and the lowest level since 1979. EIA data shows that U.S. coal consumption has been falling since its peak in 2007, and the DOE forecasts that 2018 coal consumption will be 437 MMst (44%) lower than a decade ago, mainly driven by declines in coal use in the electric power sector. In 2007, U.S. coal-fired capacity totaled 313 gigawatts (GW) across 1,470 generators. By the end of 2017, 529 of those generators, with a total capacity of 55 GW, had shutdown. So far in 2018, 11 GW of coal-fired generating capacity was retired through September, and another 3 GW expected to go offline in the fourth quarter, based on data reported to EIA by plant owners and operators. If these plants retire as planned, 2018 will be the second-highest year for coal retirements with another 4 GW of capacity expected to disconnect by the end of 2019. The EIA report comes only weeks after Entergy Arkansas and parent company Entergy Corp., Arkansas Electric Cooperatives Corp., Columbus, Ohio-based American Electric Power (AEP), Denver-based Exel Energy and other top U.S. utilities announced plans to continue mothballing the nation’s aging coal-fired fleet and move away from coal and other fossil fuels over the next decade in favor of cheaper and cleaner energy options. In fact, AECC CEO Duane Highley told Talk Business & Politics in September that the current “energy paradigm shift” was leading to a day when coal-fired power plants might no longer exist. About two months later after Highley’s prediction, Entergy Arkansas inked a ground-breaking deal on Nov. 16 with the Sierra Club to end the use of coal at its sprawling White Bluff and Independence power plants in Jefferson and Independence counties by 2028 and 2030, respectively. Arkansas’ largest electricity provider will also retire its Lake Catherine natural gas-powered facility by 2027, which first came online in 1950 and was later updated in 1970. The Arkansas utility, a subsidiary of New Orleans-based Entergy Corp., also said it will go before the state Public Service Commission by 2022 to seek approval of 800 megawatts of renewable generating sources. By 2027, Entergy Arkansas said it will ask state regulators to approve another 400 megawatts of renewable power, including 181 megawatts of solar power already in the utility’s Arkansas portfolio. But Entergy is not alone in its goal to switch to a cleaner energy portfolio. This week, Denver-based Xcel Energy, one of the nation’s largest utilities with operations in eight states, also made public the first-ever plan by a U.S. regulated utility to deliver 100% carbon-free electricity to customers by 2050. That historic plan calls for reducing carbon emissions 80% by 2030 from 2005 levels. Likewise, Columbus, Ohio-based AEP, the parent company of Southwestern Electric Power Company in Northwest Arkansas and Tulsa-based Public Service Company of Oklahoma, announced plans a month ago to invest $33 billion from 2019 through 2023 in its regulated business and renewables. That 5-year plan includes capital investments of $2.7 billion in new renewables, along with a 60% cut in carbon emissions by 2030 from 2000 levels. At the same time, Entergy, AEP, Xcel and other utility giants such as Atlanta-based Southern Company have already announced plans to shut down or sell dozens of aging coal, nuclear and older natural gas-generation power stations across the U.S. One of the main drivers, the EIA report states, is the price of coal relative to cheap natural gas that has remained below $3 per million British thermal units (BTUs) for several years now. Another driver has been the power industry’s willingness to pull the plug on so-called “clean coal” projects, a key plank of the Environmental Protect Agency’s proposed Affordable Clean Energy rules under President Donald Trump to relax pollution and dirty air standards. Those regulations, released in August, would replace the landmark Obama-era Clean Power Plan to speed closure of the nation’s coal-fired fleet. According to the EIA, only one, relatively small, new coal-fired generator with a capacity of 17 megawatts is expected to come online by the end of 2019, despite the EPA’s laxer guidelines. Those environmental concerns driven by stricter EPA emission rules for power plants under President Obama also played a role in coal retirements, the EIA report stated. Glen Hooks, director of the Arkansas chapter of the Sierra Club, said the EIA report only confirms what the environmental group’s anti-coal campaign has been predicting for years.